Is It Crass To Market Your Martial Art School? Or, Is It Just Effective Martial Arts Marketing That’s Crass? Made you look, didn’t she? The fact that this image made you look might just reveal one of the reasons your competitor’s ads perform better than yours. I’m sure you’ve seen them, those martial art school ads and websites that are more reminiscent of used car lot ads than they are of, well, any other ads you’ve ever seen. They use bright colors… bold headlines… make insane claims… and present crazy offers that no one in their right mind would pass up. “Surely people are put off by that type of advertising,” you say to yourself. “There’s no way I’d run that type of ad for my school. It’s just crass,” you mutter, while you balance your checking account and wonder for the umpteenth time how you’re going to make rent this month. All the while knowing that the guy who’s running those crazy ads and who has that over-the-top website is raking in money, hand-over-fist. Now, I understand that for some reason or another, that style of marketing turns you off. But let me ask you a question here; if what you’re teaching is so much better than what your competitors teach, why would you want to hide that under a rock? Let’s be honest here. Many of you are ashamed of your martial art schools. No, really. You’re ashamed of your schools. I say this because so many of you are so incredibly hesitant to market your studios in any manner that is even remotely effective. Instead of using effective ads, exciting website copy, inspiring testimonials, and strong guarantees, you’ve opted to look just like every other martial art school out there – boring. Your marketing is utterly uninspiring, entirely forgettable, and completely ineffective. And because of it, you’re floundering financially. But the truth is, if you really thought that your school was so much better and greater than your competition, you’d be shouting that from the rooftops. Wouldn’t you? Actually, I’m just yanking your chain a little, because I know the reason why you’re not shouting it from the rooftops. It’s pride. Deep down, you think it’s beneath you to use “tricks” to market your studio. And, it insults your pride more than you’d like to admit that people can’t see how great you are at what you do without all the shenanigans. The truth is, pride is a luxury you can’t afford when in business. If I let my pride get in my way, I’d never have succeeded a single day in business. I’d have given up the first time I had to clean some kid’s puke off my bathroom walls (true story), or when I was faced with the humiliation of having to sleep in my storage room for a month because my roommate bailed and I couldn’t pay rent on my apartment and my studio both (also a true story). Who ever heard of such a thing? The idea of “too much money” only exists in the margins and footnotes of anti-capitalist propaganda, and if you’re in business for yourself such ideological claptrap is the antithesis of your very existence. And, it only follows that the idea of marketing that works “too good” is a silly notion as well. We’ve all heard the argument that “guns are evil.” By that logic, so are martial arts, or anything that could be used to harm another person. I mean, people kill other people with their bare hands all the time, right? So, if guns are evil, then we’d better outlaw martial arts, too. Yes, it’s a ridiculous and contrived logic. I can just as easily use a rock, a baseball bat, or a woman’s high-heeled shoe to kill someone as I can a gun (and no, I won’t show you the high-heeled shoe trick). Should we outlaw those items too? Of course not, because it’s not the object that does the harm, but the manner in which it is used. In the same manner, effective marketing is a lot like a gun. When used properly, it’ll put food on your table and keep the wolves from your door. But, when used improperly, it can also be used to rob and steal as well. In short, marketing is only a tool. It’s the way you use it that is good or bad. And I believe that you’ll agree with me, using the most effective means possible to help feed your family is among the noblest of actions. So when is marketing evil? Well, when it’s not true, of course. If you tell a blatant lie in your marketing in order to take advantage of another’s gullibility for financial gain, that’s theft in my book. And yes, people in our industry do it more often that we’d care to admit. And let’s face it, the type of school owner who lies about their rank is probably teaching lousy martial arts anyway. Don’t you want to put that guy out of business? Well, if you do you’d better swallow your pride and start learning how to market your studio effectively without selling your soul. The fact is, the best marketing tells the truth in great and expansive detail. And, it does so in language that evokes strong emotions and visuals in the hearts and minds of the target audience. You see, good marketing is nothing more than a means of effectively communicating the truth about your school to the people you’d most like to have as students. And, there’s nothing evil or sinister about that. I’ll be writing more on this topic in future posts. 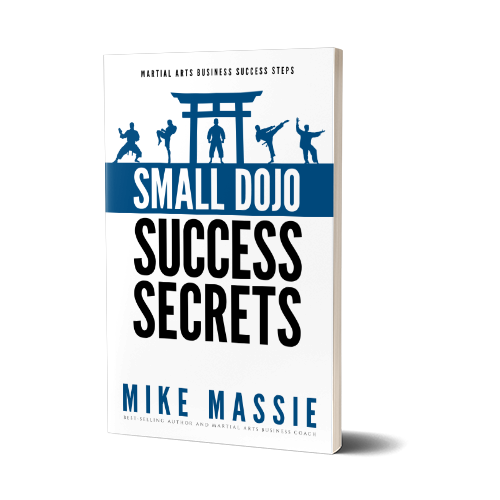 Also, I’ll be delving into just how we can market our martial art school more effectively without coming across like a sideshow barker or the “Shamwow” guy. But in the meantime, I’d love to hear your feedback on the topic of what constitutes effective vs. sleazy martial arts marketing, so feel free to post your comments and feedback below.